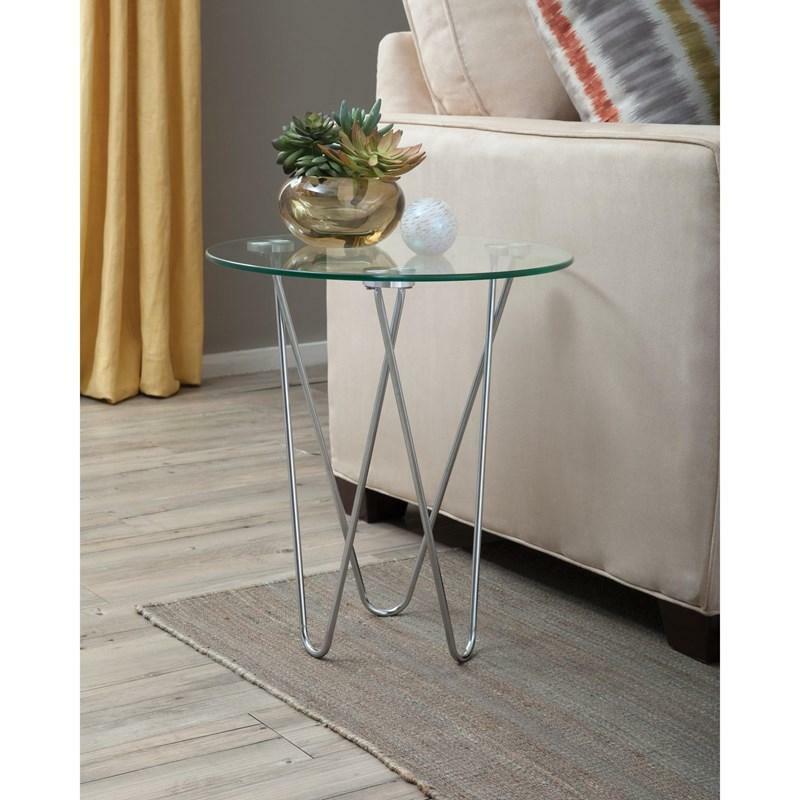 This round, glass top accent table rests upon four thin, metal looped legs connected in pairs. 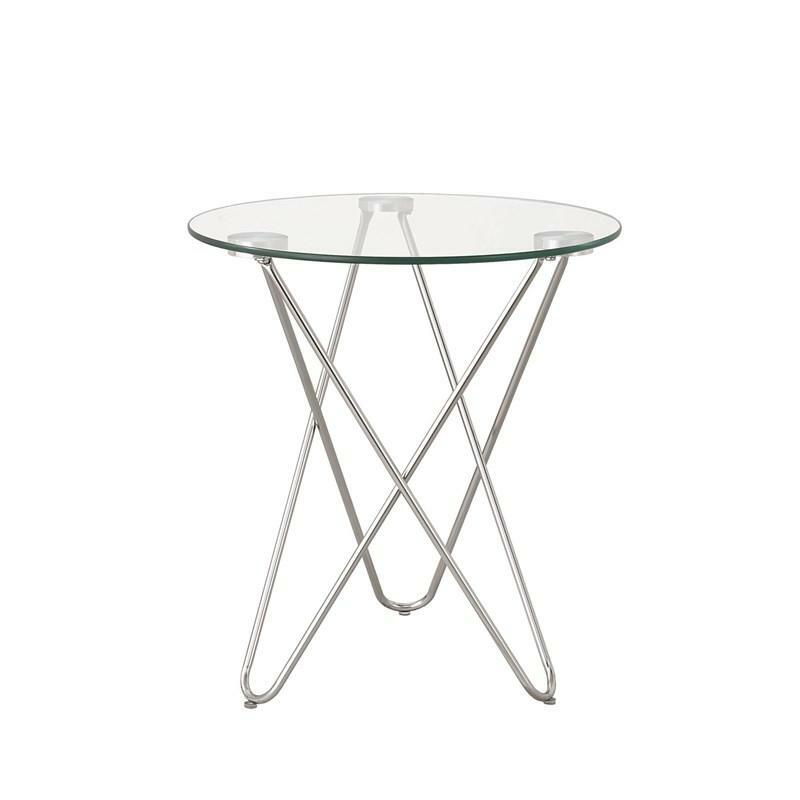 Featuring three V-shaped chrome support legs, the unique intertwined design is minimal but still looks great. 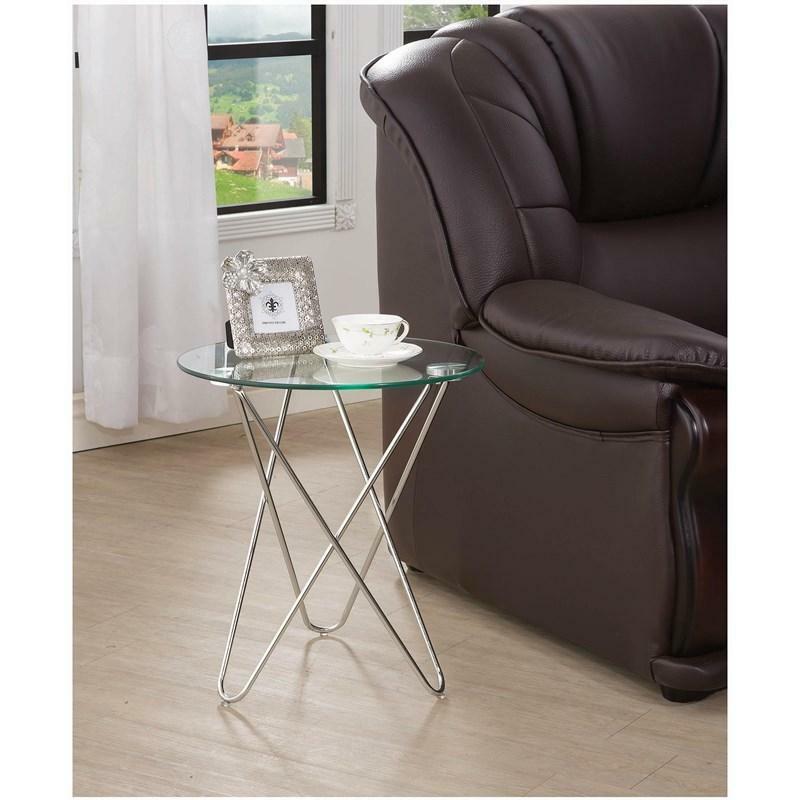 The clear tempered glass adds style to the piece without distracting from the rest of a space. Position in your modern living room next to a sofa, loveseat, or armchair. Volume 0.65 cu. ft. / 0.02 cu. m.